While it's true that many of us choose to fill our homes with all the latest entertainment equipment, it's also true that many of us prefer to hide the equipment when not in use. Besides being a solid piece of furniture, this armoire offers flexibility. An adjustable shelf in the lower part of the cabinet, and an adjustable-rebuildable VCR rack in it's upper portion, allows for the accommodation of many different electronic toys. This project was also designed to be built using a minimum of expensive power tools. By making use of standard No.2 pine, it's possible to construct your own version of the armoire without a jointer or planer. All that's required is a table saw, router, belt sander, and a jig saw. The bottom photo shows the front exposure with the raised panel pocket doors in the closed position. The adjustable shelf in the lower section will allow the addition of CD racks. 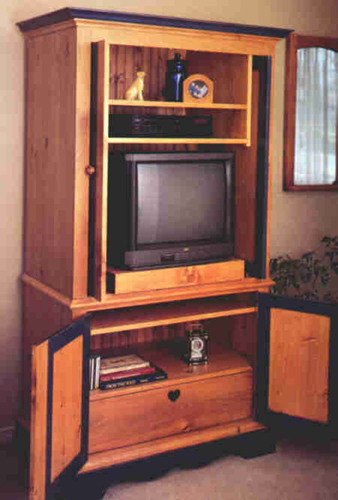 The TV sits on a swivel, pull-out shelf to allow better viewing. The plans show the unit being built as complete 72" tall side panels, but depending on the clearances in your shop, you may have to build separate top and bottom sections......believe me!...a friend of mine had to notch out the header beam in his century home, to get this project out of the basement!!! Plans include step-by-step instructions, materials list with part numbers, and assembly drawings. The downloadable instructions are in Adobe Acrobat . If this plan is made up of more than one PDF file they have been combined into a ZIP file that you can unzip once you have downloaded the file to your computer. Please note this plan is only available as a Adobe PDF download for your personal use. Download your plans right away! Click the link on the Thank You Page after your purchase completes, or Click the Name of the Woodworking Pattern in your Receipt email from Bear Woods Supply. 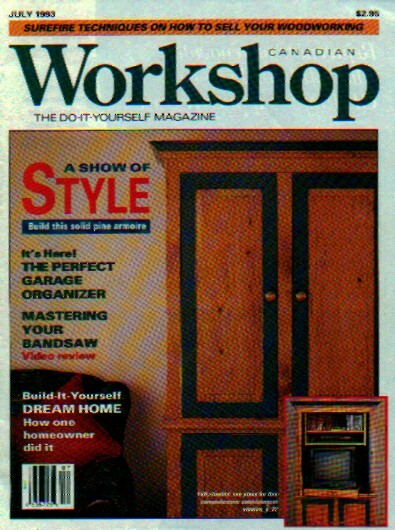 Download your scroll saw patterns right away! 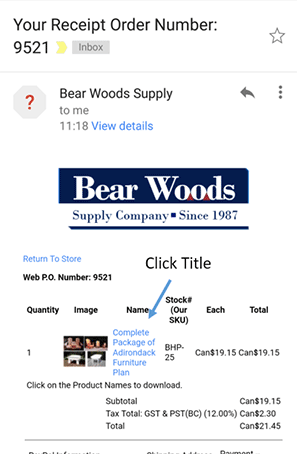 Click the link on the Thank You Page after your purchase completes, or Click the Name of the Scroll Saw Pattern in your Receipt email from Bear Woods Supply.